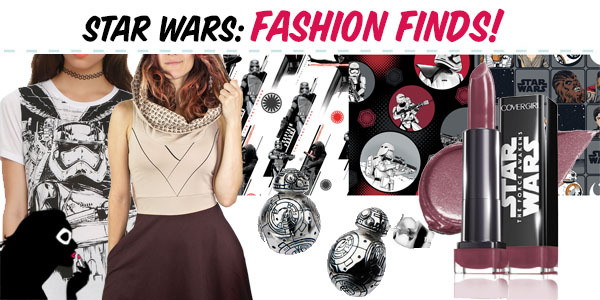 Force Friday has come and gone, and now that the dust has settled, it’s the perfect time to highlight some of the best fashion-related items that were recently released/soon to be released. 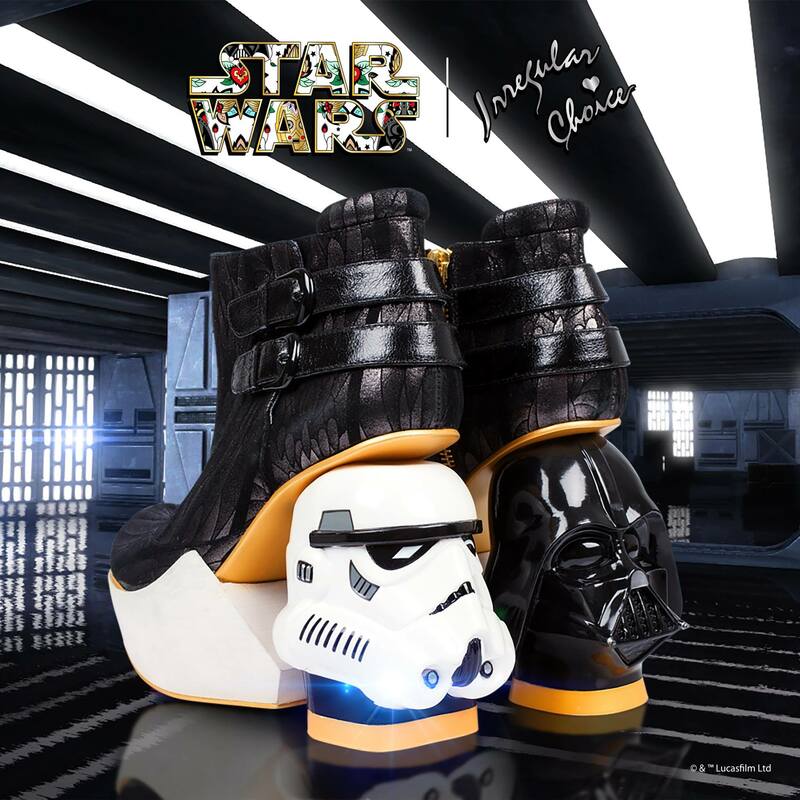 From accessories and footwear, jewelry and clothing, we are surely in the Age of the Geek, and Star Wars is leading the charge! Not all of us can rock the cold of space with our rippling chest muscles exposed the way Khan could (and could he ever) . 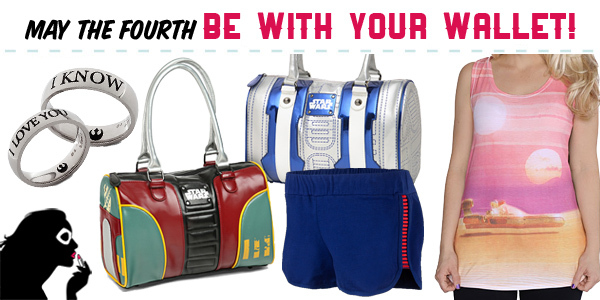 For the rest of us who would like to be a little bit warmer, and a lot more clothed, there’s a new release of Star Trek (and Star Wars!) 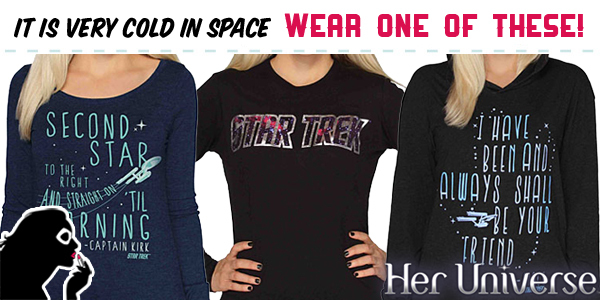 themed Her Universe long-sleeved tees available at ThinkGeek!